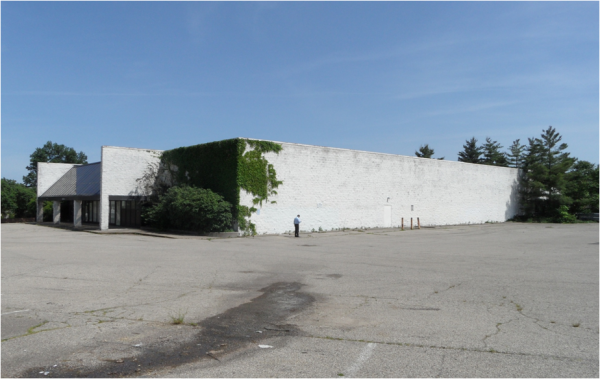 emersion DESIGN is preparing a Master Plan and Design/Build “Bridging Documents” for the 32,000 square foot renovation of a former grocery store located in the heart of Kennedy Heights. The retail “big box” will be rehabilitated to house three organizations: the Cincinnati Art Museum, the Kennedy Heights Montessori Center, and the Kennedy Heights Arts Center. The Art Museum will develop a satellite gallery for the neighborhood, as well as establish high density and visible art storage. The Montessori Center will serve children ages 3-6 in classrooms and extended care facilities. The Kennedy Heights Arts Center will offer artists’ studios for rent, and a large multi-purpose room for community events. In addition, the renovated space will include an Arts Supply Store. The new neighborhood oriented commercial, educational and multi-use civic spaces are geared towards students, craftsmen and artists. emersion designed a renovation of a suburban-style big box into a neighborhood cultural center. The community and press were on hand for the design unveiling. The neighborhood of Kennedy Heights is eager to use their renovated center.